As first appeared in the September 2010 edition of the Syracuse Astronomical Society newsletter The Astronomical Chronicle (PDF). The Constellation this month is one light on interesting binocular and telescope objects but heavy in mythology and Naked Eye observing. To the Babylonians, the stars in this region also (or first) took on the shape of a horse known as MUL.ANSHE.KUR.RA. To the Greeks, sometimes a horse is not (just) a horse (of course, of course). The Greek mythology surrounding the winged horse Pegasus is, to say the least, involved and undecided. There are several pages discussing the mythology of Pegasus, which I refer you to in the interest of local brevity. The torso of Pegasus is composed of a “Great Square” of stars that is very easy to see and is very often pointed out to visitors at this time of year at Darling Hill. This asterism (simply any grouping of stars that are not officially constellations) lies to the right (or south) of the Andromeda Galaxy (M31), one of the great views in the Autumn skies. As the scope is pointed in this direction anyway for a good block of time during Public Viewing sessions, the walk through some of the nearby Constellations (Cassiopeia, Perseus, Andromeda, Pegasus, Cepheus) reads like a Cliff Notes version of both Clash Of The Titans movies (unless John McMahon is running the presentation, in which case you’re guaranteed a much better show). In the modern definition of the Constellations, the south-most (or upper left corner) star belongs instead to the Constellation Andromeda (but anyone staring at this part of the sky would be hard pressed to be struck more by the “Great Triangle” of Pegasus than the “Great Square” of Pegasus). There are only two significant (and visually accessible) objects within Pegasus (the Constellation, that is) for the binocular and telescope viewer at Darling Hill. 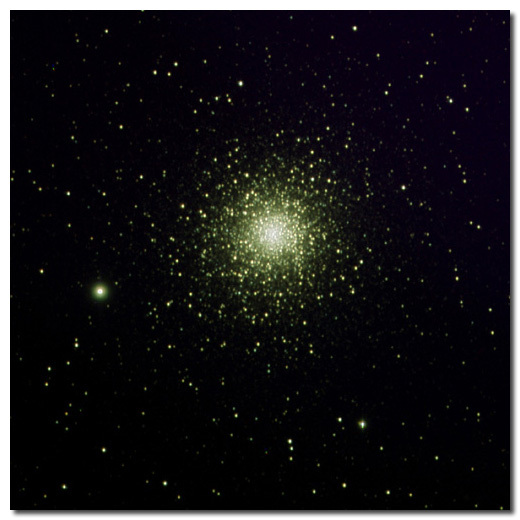 The first of these is the appropriately named Pegasus Cluster (M15), an ancient globular cluster clocked at 13.2 billion years of age. This cluster appears as a smaller version of M13 in Hercules, as captured by our own Stu Forster in the September 2008 Member Gallery and shown below. 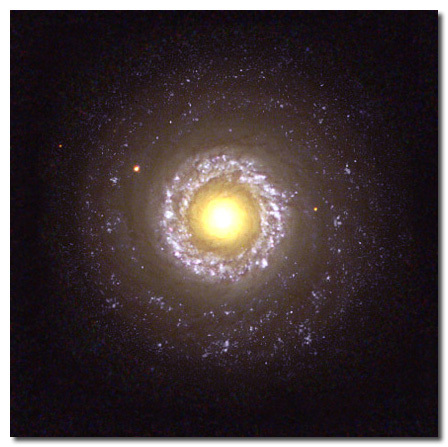 The second object is a far more difficult find, the very unique spiral galaxy NGC 7742 (below). The presence of a prominent ring in this galaxy (or, more specifically, the absence of pronounced spiraling from the center of the galaxy out to the edges) is a point of unexplained inquiry in modern astrophysics. M15, photo taken by SAS member Stu Forster. NGC 7742, image from the Hubble Heritage Team (AURA/STScI/NASA/ESA). The most curious content on the wikipedia page for Pegasus involves the nontrivial amount of discussion about the reinterpretation of its connectivity by one H. A. Rey in, specifically, his book The Stars — A New Way To See Them. Rey’s goal in this book is to redefine connectivity of some of the Constellations to make them a bit easier to see as the mythical beasts they are known for. 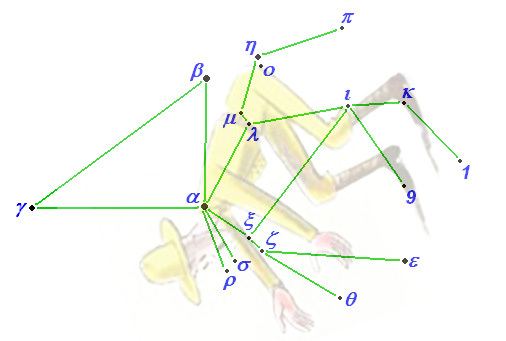 For Pegasus (see below), Rey has eliminated any mention of Sirrah (or Alpheratz, as it’s known within Andromeda), using the Great Square as a Great Triangle that marks the above-the-shoulder wings over the trapezoid torso (with the rest of the limbs along the southern edge of the Constellation). Upon inspection, his reinterpretation looked more to me like one of the drawings of The Man In The Yellow Hat who, along with Curious George, is perhaps the more famous of the illustrated characters created by H. A. Rey. A new view of an old constellation, or The Batman In The Yellow Hat. I’ll admit I’m mildly ambivalent about the redefinition of Constellation connectivity. On the one hand, the Constellations are one of the oldest memes in human history among all societies (extant or extinct) and, to that end, connectivity has meaning as a way of marking out specific arrangements that have largely stood the test of time. The consistency of connectivity also provides a way to reduce the memorization fatigue that comes from having to see groups of stars in slightly different ways (clearly, one arrangement is easier to know and explain than several). This is of further significance when one uses Constellations as a specific guide to locating Messier (or other) objects. If I tell you that “M15 is on an almost straight line about 1/2 the distance of the two stars that make up the snout,” you really have to trust that we’re seeing the same horse! On the other hand, there are many amateur astronomers who use Constellations largely as tools for finding smaller objects (with or without a knowledge of their history) and, as we are a species that excels at pattern recognition (how many flying faces and hippopotami can you see on a partly cloudy afternoon? ), anything that makes life easier for you the observer (especially on cold nights when observing time is at a premium) should be added to your observing arsenal. 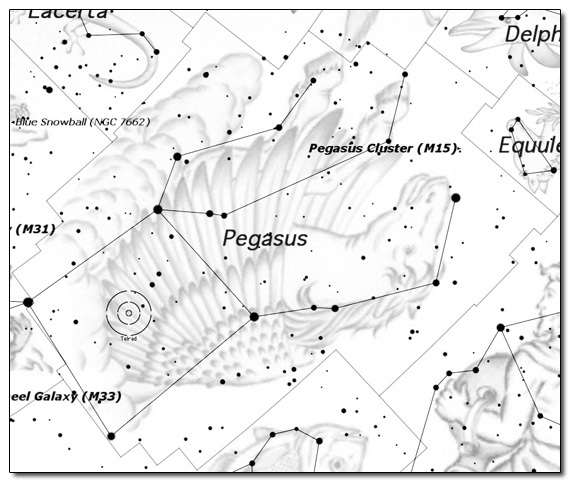 H. A. Rey’s interpretation of Pegasus connectivity might cloud just how pronounced the Great Square is (so you have to then present this Constellation with an addendum! ), but it certainly does look more like a complete flying horse than the common artistic rendering of only the front half (clearly the side you’d want to have over you anyway given both choices). Any way you look at it, it’s still safe to assume that the winged horse must have been the most efficient way to travel in the ancient world. It certainly speeds up a good plot.